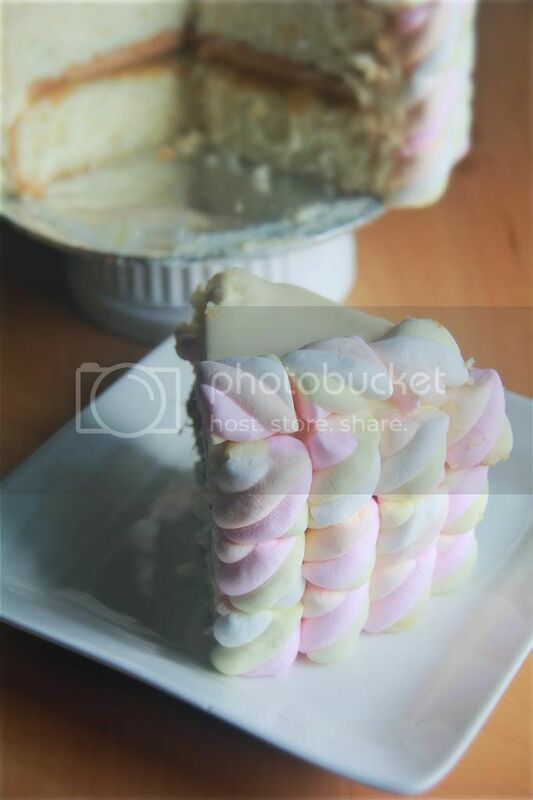 Crumbs and Cookies: marshmallow cake. I feel like it has been forever since I last baked a layer cake. The most recent was in December last year. Two months - yup, pretty much an eternity. The opportunity arose when I found a pack of tricolor marshmallows my grandma had bought, one of her many random but well-meaning gifts. Nobody in my house eats marshmallows as they are really, but I thought it would be such a waste to just give these confections in such gorgeous pastel shades so I decided to use them for baking. 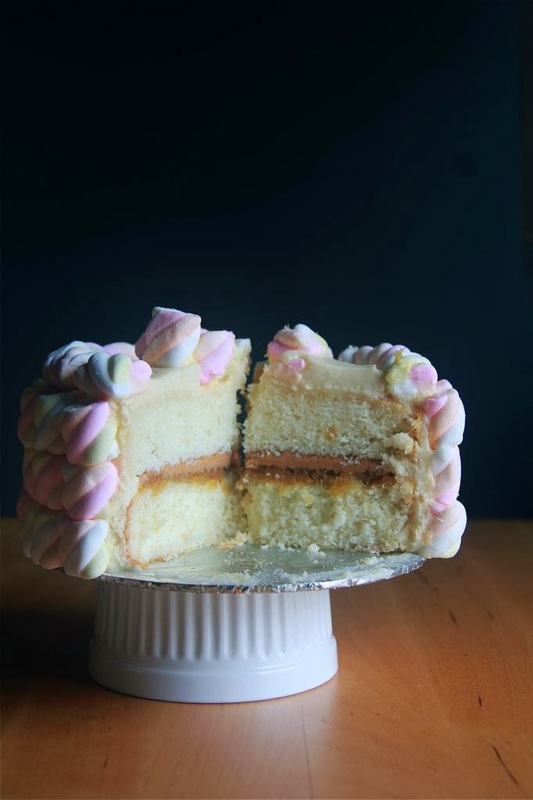 Layer cakes are the ultimate blank canvas for decorating in my opinion. Sure, cupcakes are pretty fun to dress up too but they lack enough surface area. I had tons of fun seeing my passing thought of an idea materialise marshmallow by marshmallow. 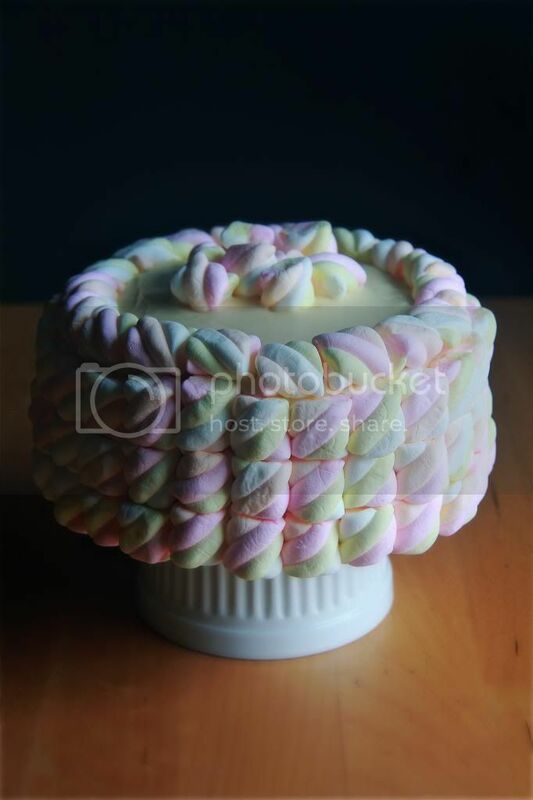 Since my main focus for this cake is the marshmallows, I wasn't that fussed about the cake itself and its filling. I used a white cake since I had extra egg whites in the fridge to use up, and I chose the filling of peanut butter and pineapple jam because I had them ready at hand. The cream cheese frosting was because I love cream cheese frosting. Essentially, you can just use your own recipes and use this decorating idea. 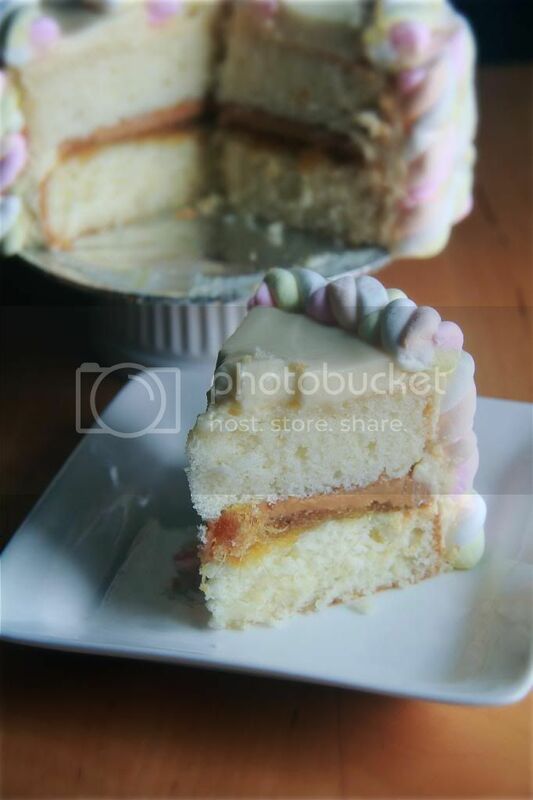 You can pretty much use anything you like for the filling because it's not the focus of the cake. I used peanut butter and pineapple jam. Bake the cake: Preheat oven to 350F. Prepare two 5 inch cake pans. Whisk together the milk and egg whites. Cream the butter and sugar until light and fluffy. Beat in the flour mixture in three additions and milk mixture in two additions alternately, starting and ending with the flour mixture. Do not overbeat. Divide the batter between the two pans and bake for about 25 minutes, or until an inserted skewer comes out mostly clean. Cool the cakes completely before filling and frosting. 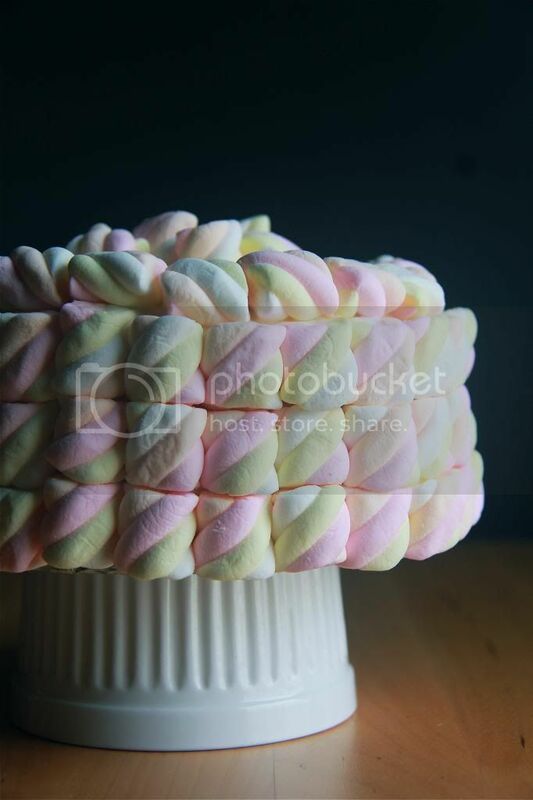 Assemble the cake: Fill the cake with your desired filling, frost it with the whipped cream cheese frosting and arrange the marshmallows neatly around the sides of the cake. Refrigerate the cake for at least 4 hours before serving. Looks very spring-like and Eastery!